We develop tools based on computer vision and deep learning techniques for automatic tracking and analysis of animal behavior for research and practice. 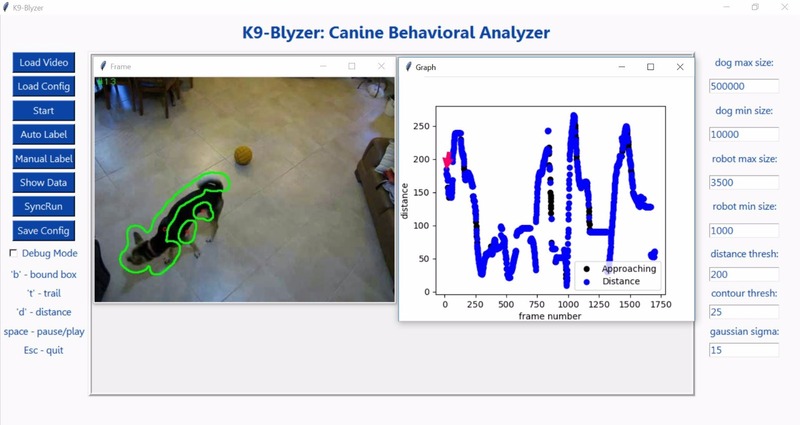 You can watch here a video about K9-Blyzer, a tool for dog tracking which is deployed in several veterinary clinics in Israel and France. We are currently developing tools for automatic tracking of cats, pigs and zoo giraffes. If you have large volumes of ethological data and would like to automatize its analysis, please contact us for details.